After yesterday’s result, we felt a big dose of Kindfulness was needed today. 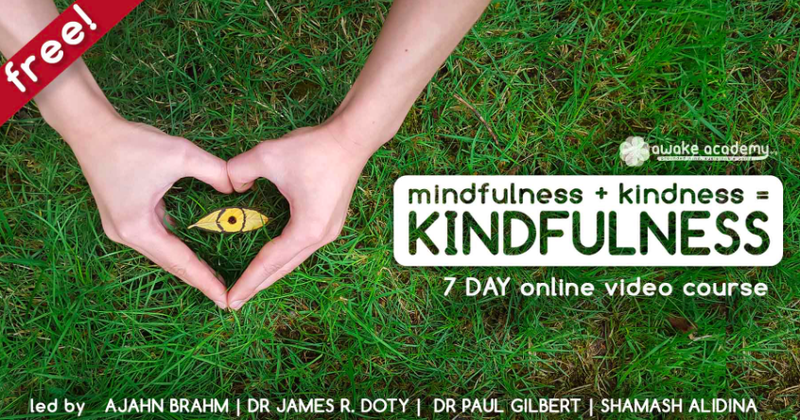 So we’re delighted to share with you details of a FREE 7 day online Kindfulness course run by the Awake Academy. Ajahn Brahm created the term “Kindfulness” which is the result of adding kindness to our mindfulness practise and opening our hearts to others as well as ourselves. Kindfulness encourages relaxation, is an antidote to stress and allows healing to happen. Register for the free course here.